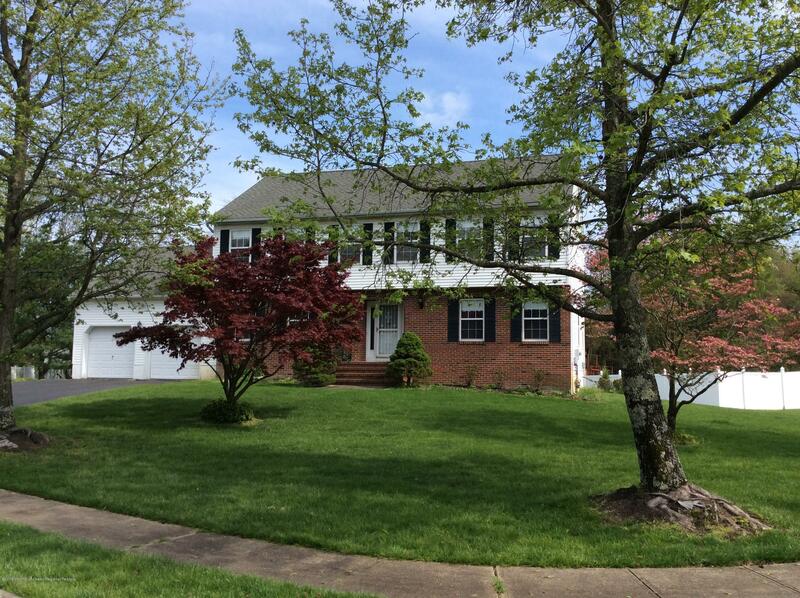 Here's your chance to own in beautiful ''Laurel Woods'' at a great value! Statuesque 4 bdrm Brick Colonial situated on a beautiful tree lined street at the end of the cul-de-sac. Home features a large sun filled Florida/Great Room with cathedral ceiling looking over expansive back yard with inground sprinkler system connected to your private well. Great savings $$. Living room has gas fireplace, formal dining room, large eat-in kitchen, Jacuzzi jet tub, large bedrooms, center hall foyer has 2 closets, huge walk around attic great for storage, full basement and so much more! Over 2, 700 sf for you to make this your dream home! This property offered at below market value and an ESTATE SALE - being sold AS IS condition. Furnace/AC unit recently serviced. Great bones needs updating.